So you want to launch a survey… that’s a great start. But where to begin? What type of survey should you choose? When should you launch it? What questions should you ask? It may seem overwhelming at first, but it’s actually pretty easy to master, and we’re here to help. 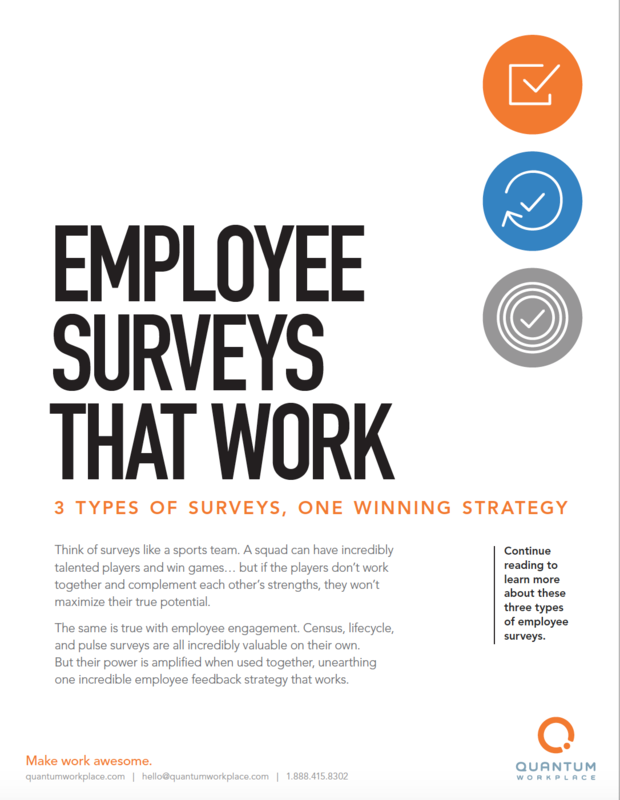 This ebook ensures all your surveys work together to form a winning engagement strategy.